Sweat Shop Brew is the previously named Sale St Bar. Offering a bustling atmosphere with inside and outside seating, its the place to be on a sunny afternoon or for after work drinks. 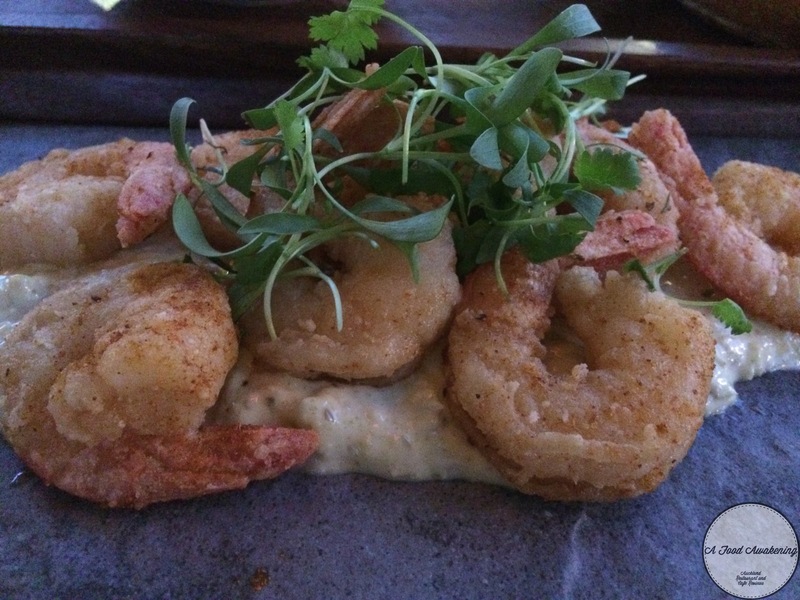 The newly designed menu is extensive and follows a Southern American theme, with smokehouse menu items. I think this a cool idea as its a little something different. Between the two of us we shared everything – my fav. I think we over ordered a little. 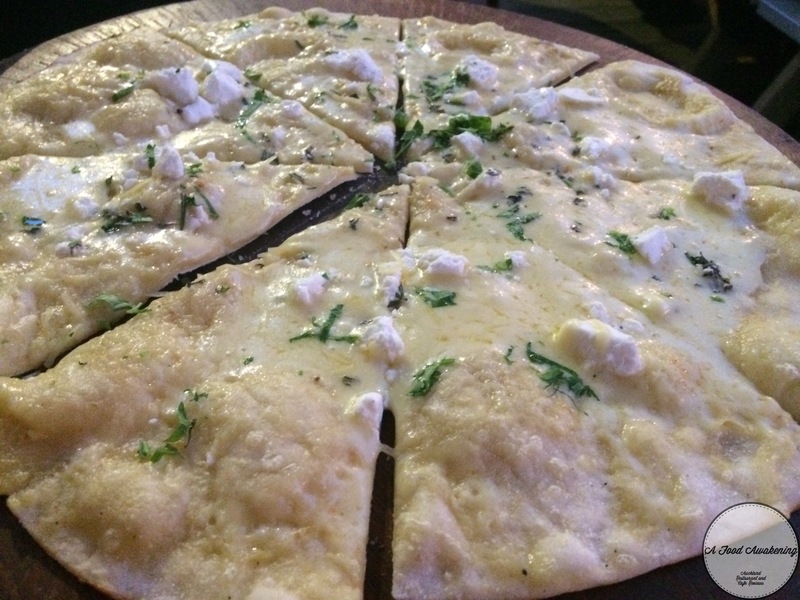 The feta and rosemary bread was much bigger than anticipated and i wasn’t expecting it on a thin pizza base. It was tasty but i personally prefer pizza bread with a thick, soft, chewy texture. We both loved the popcorn prawns. The flavour was on par and cooked perfectly. The pulled lamb shoulder muffuletta was actually an accidental menu order. I think we actually ordered the mussels but they had run out, and we saw this amazing bread bowl another diner ordered and we were like ok, we want that. This is a first I’ve seen in Auckland. 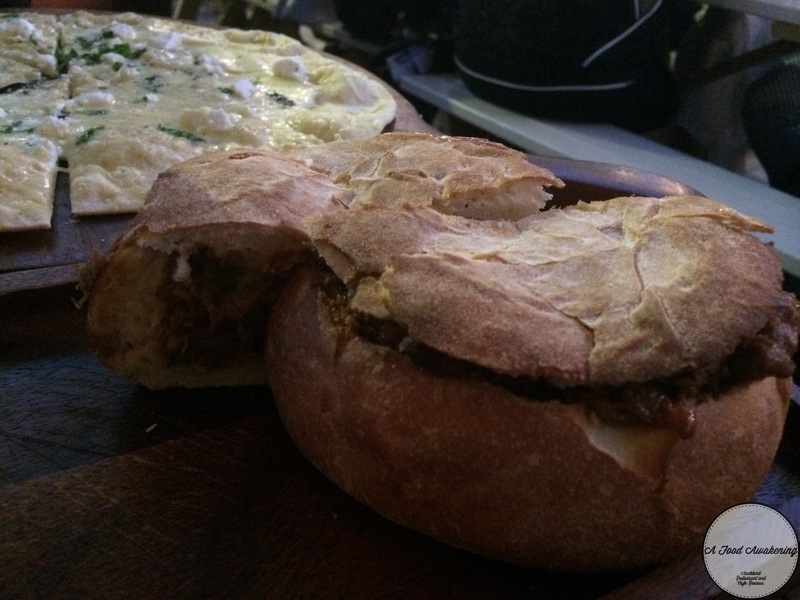 The pulled lamb in bread, it was a great concept. I think to be honest its a bit much. just all meat in a bowl but prob a dish a guy would love. 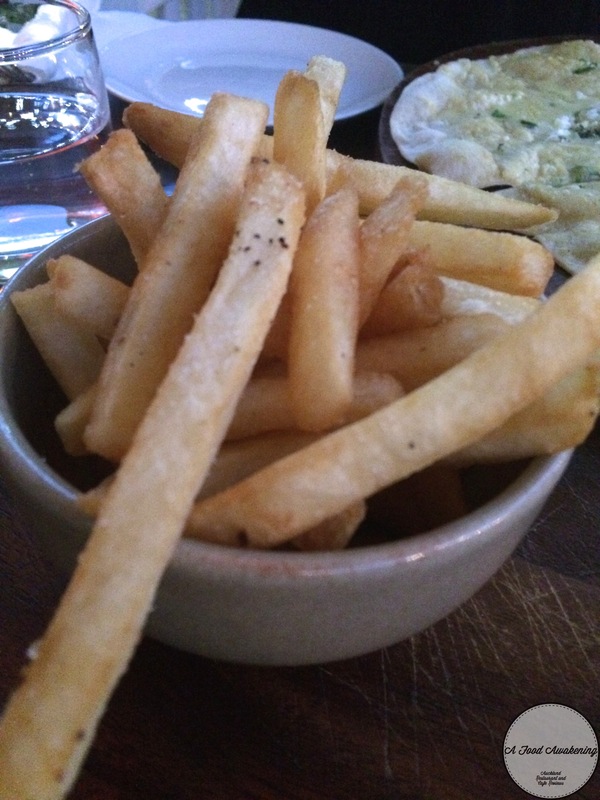 It was also served with chips but you can’t go too wrong with chips. The meat was cooked perfectly, but i there just needed to be more flavour. Something more exciting to lift it. What i appreciate is that the menu offers something a bit better than your average bar or pub menu items and has something for everyone. 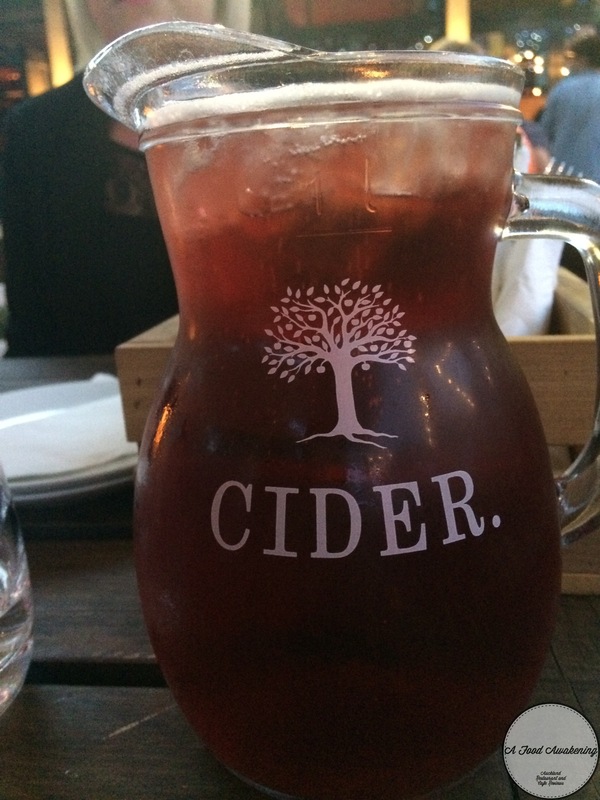 If you don’t go for the food, go for the big jugs on offer and the chic interior.